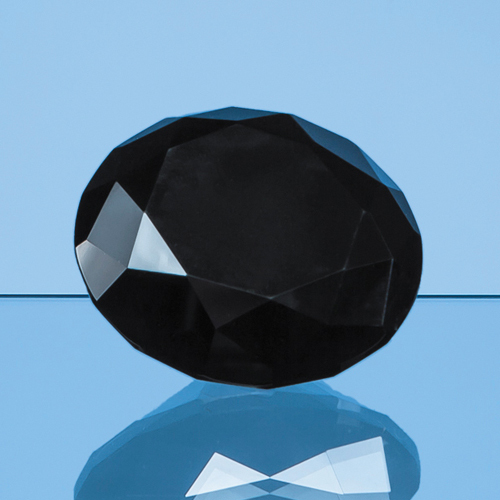 Make a statement with this stunning onyx black paperweight, designed to resemble a brilliant cut diamond. Perfect for many different uses from an extra special achievement award to wedding favour. It is available in three sizes  6cm , 8cm (shown) and 10cm and has a generous engraving area for a logo, message or crest. Plus it comes in its own presentation box.